Good news for companies doing business in Pennsylvania. According to a report released by the Tax Foundation, a nonprofit Washington D.C.–based research group, Pennsylvania is now a more tax-friendly place to do business. Taxes affect businesses in a variety of ways. Businesses may base their location decisions on an individual state’s tax structure which will impact their international competitiveness and statewide job creation and retention. The long-term economic health of a state is impacted based on these factors that vary from state to state. In an effort to assess this, the State Business Tax Climate Index was created by The Tax Foundation in order to provide insight on how “tax friendly” a state is to individual businesses. 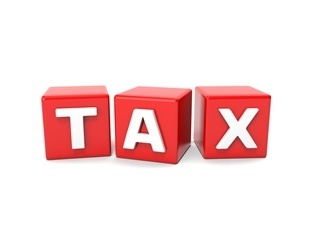 The analysis for each state takes into consideration over 100 tax variables in five different tax categories that include corporate, individual income, property, sales, and unemployment taxes. Some of the most competitive states include Wyoming, South Dakota, Alaska and Florida. What these states have in common is a simpler, economically neutral tax system. In addition, most of these states do not have either a corporate or individual income tax. Lower scoring states are found in those with complex, multi-rate corporate and individual tax codes and high state tax collection such as New Jersey, New York, Maryland, and Ohio. While its bordering states tend to rank lower on the 2017 State Business Tax Climate Index, Pennsylvania has moved up four spaces, climbing from number 28 to 24 overall. The primary reason for the climb is the commonwealth’s decision to eliminate the capital stock/foreign franchise tax. The capital stock tax was applicable to all Pennsylvania corporations, S-Corporations and Limited Liability corporations (LLCs) and the foreign franchise tax applied to non-PA joint stock entities. Dating back to 1844, these taxes generated $242 million in revenue for Pennsylvania in 2015, which is much less than it generated in previous years. The elimination of these taxes was proposed 15 years ago and after many delays due to state revenue issues, was finally phased out entirely in 2016. Experts saw the negative impact it had on job creation and the barriers it put up regarding job growth. Because taxes lower profits, a state with a lower tax burden will be more appealing to businesses. The State Business Tax Climate index provides an easy to understand way to evaluate the competitiveness of a state’s business environment. From a global perspective, it appears relocation may occur due to rapid job creation, but it is important to note the United States competes internally from state to state for a competitive advantage in the business world.